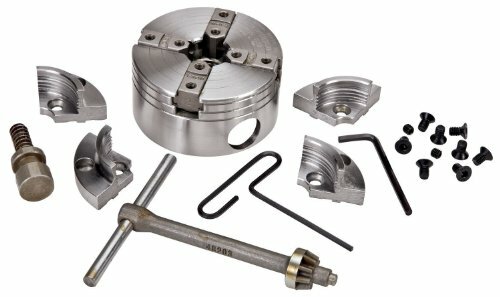 There is a large selection of lathe chucks and jaws available on the market today. With such a wide range of choices it can be difficult to choose the best woodturning chuck for your needs. That’s where this guide aims to help. 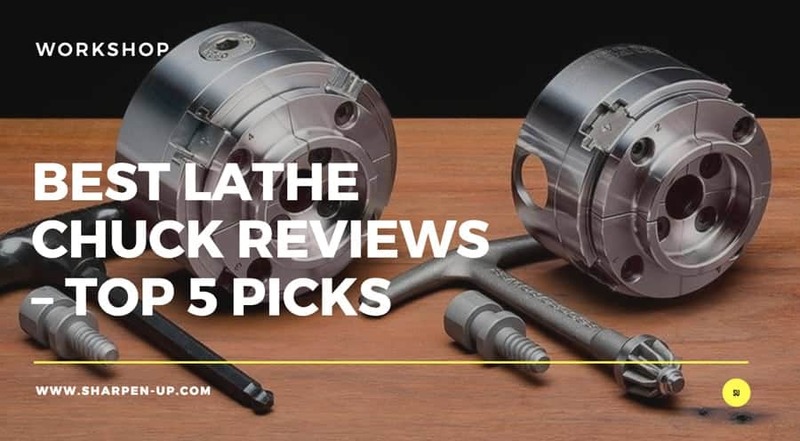 We’ve pulled together 5 top rated wood lathe chucks currently available and put them through their paces. So what exactly is a woodturning chuck? The wood turning chuck is a tool that is used to grip one side of your working material. 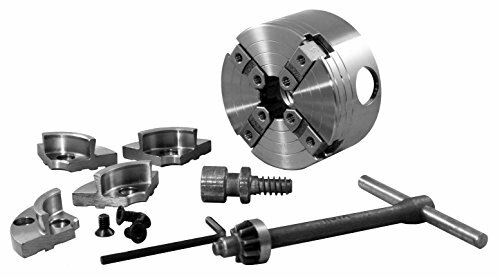 This simple device enables the user to turn or hollow the other side of the material, (without the need of fitting screws or a tailstock support). 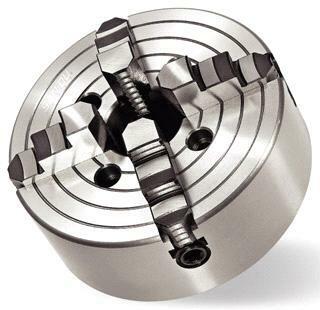 The four-jaw chuck didn’t actually hit the market until the early 1980’s. For woodworkers across the world, this new innovation really made a big difference. Work all of a sudden became a lot faster and a hell of a lot more efficient. 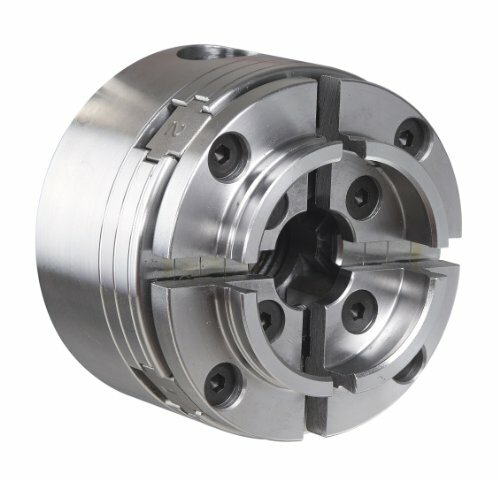 It was now possible to utilise the self-centering chuck with a wide variety of different jaws. Each of the jaws could be designed for a different purpose; they could also be used to hold objects with varying diameters – all with minimum tool changes required. This is the lowest price of all and can be used on all materials of different shapes. Compared to the other three types, it is also the slowest and requires training and practice to perfect its use. Used for repetitive work in a situation where no fine-tuning is required. This type of chuck uses a key to adjust the jaws which allows you to be very precise and efficient. Unlike the four-jaw type, this type does not have reverse mode. The end result means the user requires two sets for clamping in and out. Every lathe should have a four-jaw chuck. 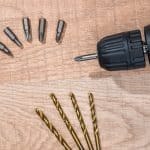 We briefly mentioned speed and efficiency above; however here are a few more reasons you should bite the bullet and purchase one of these handy add-ons for your workshop. Centring bowl blanks as well as turning squares is made that much easier with a chuck; leading to faster, more accurate results. No screws required; the old method of gluing a waste block to your turning blank in order to screw onto the faceplate is no longer required – the chuck will take care of those fastening needs. Chucks are made all the more versatile by the many accessory jaws now available. With minimum fuss you can alter the chuck to hold work as small as a 1⁄4" diameter tenon, right up to the rim of an 18" diameter platter. Your work will be that much neater – with a chuck you will find it possible to turn a bowl with little trace of how you fixed it onto the lathe for the cut. 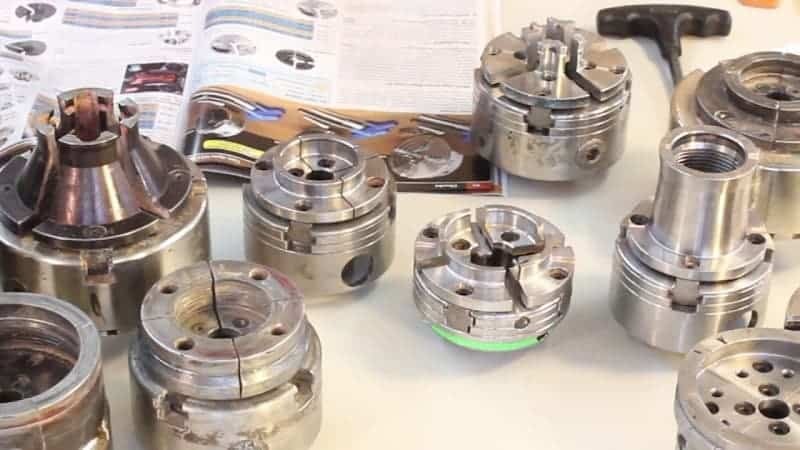 These are just some of the reasons as to why a 4 jaw chuck is one of the most important tools you should have alongside your lathe. Now let's look at what you should consider when buying a woodturning chuck. Interchangeable jaws sizes that have the ability to self centre is an important feature to look out for​. This will allow you to work on different sized projects quickly and efficiently. You should remember however, once you have made your purchase and opted for a specific brand of chuck, you will be committed to buying accessories compatible with that product. Prices vary greatly between manufacturers, so it is wise to do your research before parting with your money. The chuck maybe a bargain to buy, but how much will the extras set you back? Look out for dovetail jaws if possible. These are specifically designed to lock onto a turned shaped tenon or spigot. 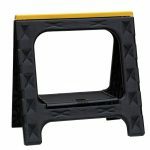 If you opt for stepped jaws that have been shaped to hold metal, you will find they will fail to grip onto your wood in a sufficient enough manner for good results. There may come a time to buy another lathe. When that happens you will often want to take the accessories you have bought along with you. If your chuck doesn’t have threaded inserts, you could run into compatibility problems with your new machine. 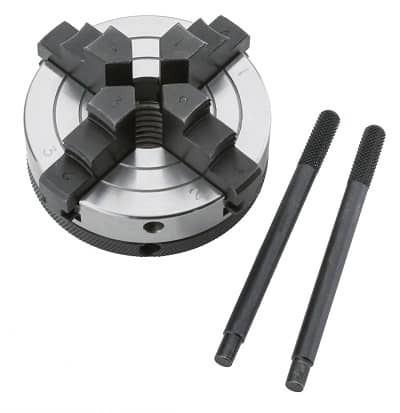 A chuck with the facility to change the threaded insert will be able to fit the new lathe spindle with ease. A system of gears (preferably enclosed within the chuck) that will allow for one handed tightening is the best way to go. This will provide greater accuracy and more efficient work methods. You should look out for a chuck with a low overhang. If your chosen tool has too much height, there is the danger that it will bring your work material too far away from the bearings during the spinning action. The result can cause wear and tear on your spindle as well as cause vibration issues, (which in turn can impact the quality of your turning). Finally, you should be aware of the steel quality of your chosen chuck. 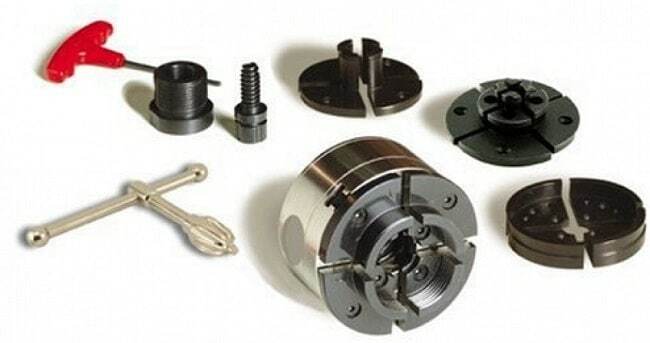 The best best wood lathe chuck will have parts made of hardened metal. Robust, high-grade steel will resist wear and tear on the scroll and jaw teeth, (which see a hell of a lot of action in normal use). One of the essential tools in woodwork is the wood lathe chuck. 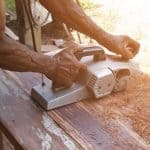 It is a nifty device that you can use to your wood to turn safely. Now it’s time to look at 5 of the best wood lathe chucks on the market in 2017. The four-jaw PSI Woodworking CDC 3000C Barracuda is a key chuck system and one of the best chucks you can find in the market. It is famous among woodwork users as being efficient, versatile, and hardworking chuck. Each unit comes with a variety of accessories including a case, four sets of jaws, spindle adaptor, wrench, tightening key and one-inch pin jaws. This chuck is highly recommended for small wood projects and woodwork beginners. It weighs a mere nine pounds and has a two-year limited warranty. Its threading has a one-inch diameter which makes it compatible with many other lathes although the product comes with an adaptor to accommodate 16 tpi. Compared to other wood lathe chuck systems, the CSC 3000C Barracuda offers value for money. Probably the main difference separating the Barracuda from the industry leaders would be the lack of reverse mode. 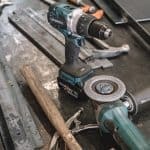 In addition, if you are a professional, you might find yourself wearing out the Barracuda quickly and might be better off investing in the industry-grade equipment. The Barracuda is frequently compared to the Nova G3 and almost always come out the better choice especially for novices and the occasional hobbyist. Most professionals and experts have started with the Barracuda and we recommend the chuck for smaller jobs. If you need a chuck for small jobs like bowls and other similar woodworking, the Barracuda is perfect. If you are a beginner, it is even better because it comes with a lot of accessories that would otherwise cost you additional to buy separately. While not a keeper in the sense that it will eventually wear down, you get more for your money with this system because of everything that's included. For that reason and more it is our top rated choice. 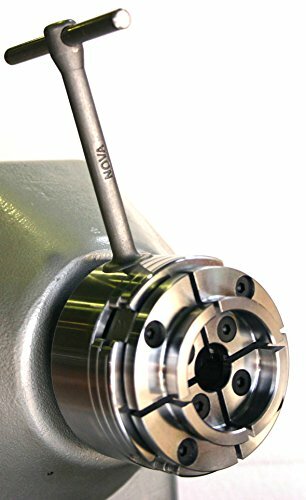 The four-jaw NOVA 48232 G3 also known as the Nova G3 Comet II Chuck was specifically designed to be used with the Nova Comet II Midi Lathe which is sold separately. However, it can be used on other lathes provided they have 1 inch 8 tpi thread. The Comet II Chuck, which has a dovetail external grip, has a locking set screw which enables the user to go to reverse mode. If you lathe is non-reversing, you will have to remove the set screw. Like the Barracuda, you can use this chuck system single-handedly. With a weight of slightly over four pounds, you won’t be easily tired. 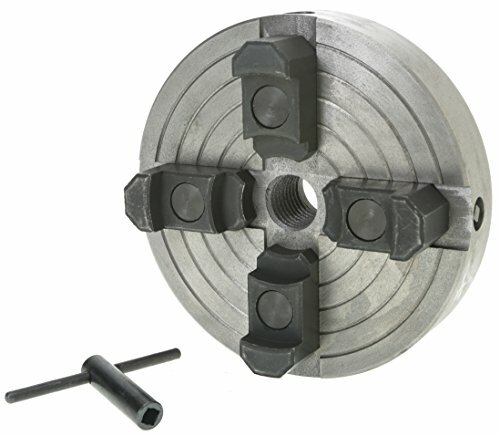 It comes with a self-centering scroll chuck with the patented TuffLock grip for added safety and vibration-free use. Each purchase comes with a T-bar chuck key, one set of two-inch jaws, 50 mm and a storage case. This chuck has a minimal body length of 1.79 inches which allows you to take full advantage of your distance while reducing stress. Its swing capacity is 400mm/16 inches in diameter and can handle up to 350mm by 14 inches diameter bowls with the 2-inch jaws provided. 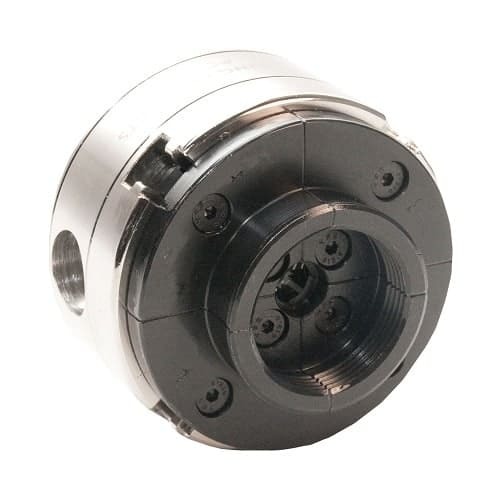 One of the key features of this lathe chuck is the compact design and simplified maintenance. You can open the back to clean it properly. Opting for this lathe also gives you the option to buy more accessories from NOVA. The Nova G3 Comet is admittedly more popular than the Barracuda but mainly because of the price. However, you will discover that you end up spending more if you buy the optional accessories. There are some accessories that you will have to buy for certain jobs like the 16 tpi insert and spindle adapter. 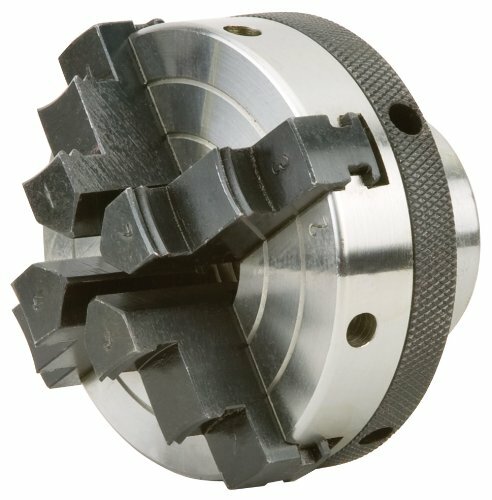 Like the Nova G3 Comet, the 4-jaw Delta Industrial 46-461 is a reversible woodturning chuck made by Nova. As stated, it is industrial-grade which is several notches higher in terms of performance, durability, and performance. Like the first two wood lathe chuck systems, the Delta 46-461 is made in China but gets good feedback on its construction. Weighing just 4.3 pounds, the Delta 46-461 has auto stop jaw slides, an anti-release spindle lock, improved jaw gearing, and threaded chuck jaws for secure clamping. It comes with a 1 inch 8 tpi mount and two inch standard jaws. This particular key-operated model is best suited for mini and midi lathes or up to 14 inch swings. 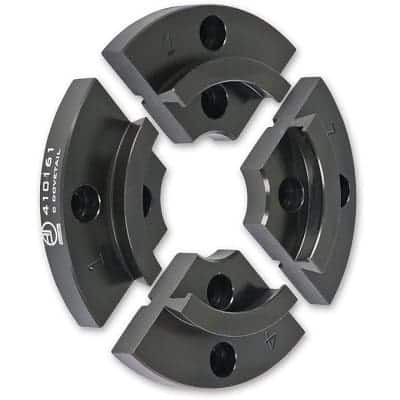 Although it is made by Teknatool for Delta which is a company that manufactures its own brand of G3 chuck, the Delta Nova jaws are serrated unlike the G3 jaws which are smooth. This means the Delta Nova provides a better grip which when combined with its two set screws ensures a secure mount during operation. The downside to the Delta Nova is the small Allen wrench which fails to clear the top of the jaw and makes for a rather awkward set-up. However, once tightened, the process is smooth and secure. It’s been said that the Delta Nova 46-461 is a big man’s tool because it is industrial grade but it has too many limitations to be the best of the best. You will have to buy the add-ons to fully enjoy this chuck system and there is a waiting line for certain parts. Performance-wise, it does the job efficiently and safely. 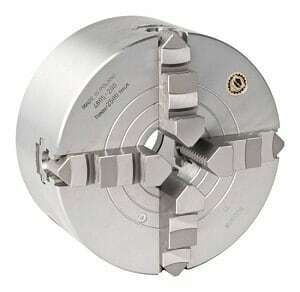 The 4-jaw Woodstock D4054 3-inch Chuck is a self-centering chuck can fir all lathes with a one-inch x 8 tpi. It comes with two 4-inch wrenches and is capable of reverse motion. One of the admirable features of this chuck system is the easy mounting. However, the product does not come with an instruction manual so you either know how to use the chuck or you have to scramble and search for the manual online. This product is best for experienced users who have graduated from the novice equipment and is ready to be more picky about tools. The Woodstock D4054 has threads which helps save time when you have to switch applications. At just 2.4 pounds, you might be a little disappointed with its performance because it tilts on the small side. This means that while the Woodstock comes at a reasonable price, you may have to invest in a bigger size to get other jobs done properly. Another downside is the 1-year warranty and the need to buy a 16 tpi adaptor. The Woodstock D4054 is a neat addition to your tool cabinet and highly recommended if you limit yourself to small jobs. Once you start working with bigger sizes, this chuck system might be rendered useless and require you to invest in a larger wood lathe chuck system. Definitely, not recommended for beginners and novices because it would be next to impossible for them to immediately use it out of the box. 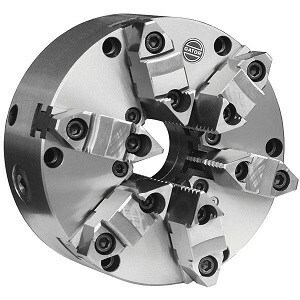 The Grizzly H8049 is a 6-inch, 4-jaw wood lathe chuck with a 1 inch x 8 tpi. It is also the most affordable of all the products in this review. 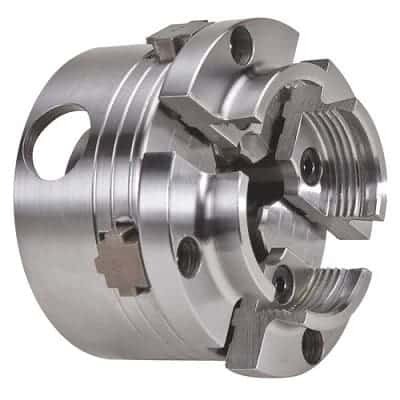 This chuck system (manufactured by the well known Grizzly brand) has independent and adjustable jaws which means you can use it on unusual-shaped items. You also have the reverse feature and comes with its own chuck wrench. Does it do the job? Definitely but you cannot expect to enjoy the same kind of seamless process as with the Nova and Barracuda. This means you have to be very alert and on point when using this chuck system. 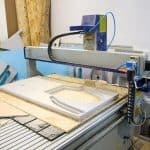 Much of the success or failure of your woodworking when using this product will depend on your skills, set-up (especially with centering), and alignment. It is not recommended for inexperienced users. On the other hand, anyone with several years of woodworking experience will find it to be impressively smooth and efficient with nary a wobble when in use. Since it is low priced when compared to other chucks in our top 5, you cannot expect to be brutal when using it and not experience some kind of damage to the chuck. For instance, some have reported that the wrong set-up and handling can cause the jaws to split in two or the chuck key to get stuck. 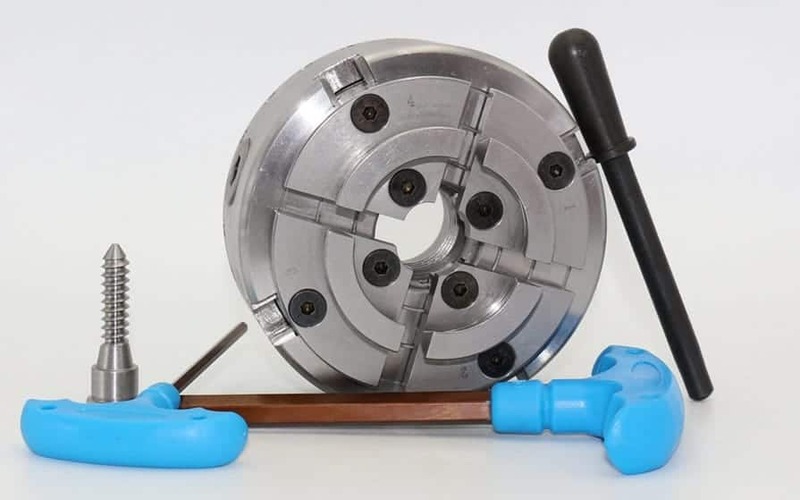 There is a big market for people who want an inexpensive wood lathe chuck that can do the job smoothly – and you will find that the Grizzly H8049 will take care of business provided you have sufficient experience and skill in using chucks. This product is not for the woodworker who wants to zip through and finish the job quickly. It will demand the user to take his time with the prep to avoid back jobs, misalignment or unpolished finish. Nonetheless it deserves its spot among the best wood lathe chucks because any fatal errors in its use is mostly caused by operator error rather than a defective product. In conclusion, the best wood lathe chucks range from the very cheap to the industrial grade. Keep in mind that in some instances, the buying the chuck system is just the start of your purchases which is why we picked the Barracuda as our top choice. It comes fully accessorized and performed beautifully with every test we ran.